Complete template that allows you to organize and manage all your web bank accounts. 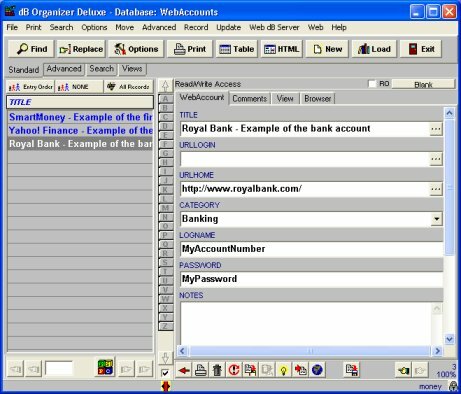 Manage account information including web bank name, link, login link, login information, login name, password, description, and more. easy way to gather and organize information about all your passwords, access codes, important numbers, login names, ids, account numbers.